It's not winning any awards for most stylish, best all around, or... anything else, for that matter. But it is a solid mid-ranger that might fit the bill perfectly for anyone looking for a new device that packs a punch and won't break the bank. 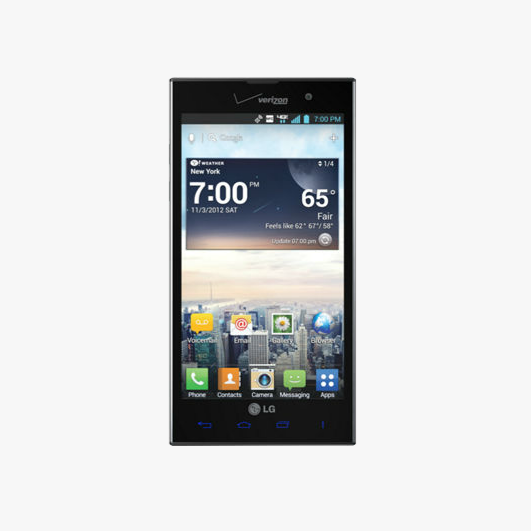 The LG Spectrum 2 is available online today and in stores in the coming weeks. BASKING RIDGE and ENGLEWOOD CLIFFS, N.J. – Verizon Wireless and LG Electronics USA today announced the Spectrum™ 2 by LG. Exclusively for Verizon Wireless, the Spectrum 2 by LG will be available online on Oct. 30 at www.verizonwireless.com and will be in Verizon Wireless Communications Stores in the coming weeks for $99.99 after a $50 mail-in rebate with a new two-year customer agreement. The Spectrum 2 by LG creates a unique wireless experience thanks to an ecosystem of features and accessories, allowing customers to avoid cables. 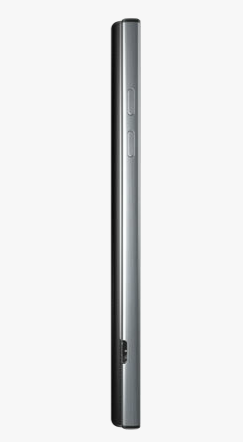 The unique battery cover allows wireless charging, and it’s included at no additional cost. Contacts, maps and websites can be shared wirelessly using near-field communications (NFC), by tapping two compatible phones together. NFC can also be used with the included reprogrammable LG Tag+ stickers to create special smartphone modes for the office, home or car by tapping the stickers with the Spectrum 2 by LG. SmartShare also makes it possible to wirelessly view pictures and watch videos on a DLNA-enabled device. The 4.7-inch True HD display will make the Spectrum 2 by LG stand out by enhancing the viewing experience when streaming movies, playing games and browsing the Web. The HD display, paired with Corning® Gorilla® Glass, delivers vivid and accurate colors, crisp, sharp text and clear images. Apps such as viewdini, make it easier than ever to find TV shows and movies that users can enjoy right on their Spectrum 2 by LG. Football fans will also be able to take advantage of the screen combined with 4G LTE speeds to watch live games for an unrivaled viewing experience. The Spectrum 2 by LG helps to capture precious moments with its 8-megapixel camera and then takes it a step farther with its Advanced Image Editor and Video Wiz features. With these features, customers will have an editing studio in their hands to crop, rotate and add effects to photos and other multimedia documents that they can then share with friends over 4G LTE. The 1.3-megapixel front-facing camera allows customers to video chat with friends and family to easily stay in touch from virtually anywhere. Additional camera features include 1080p HD video recording, Intelligent Panorama Shot and Time Catch Shot to take photos before pressing the shutter button. LG Premium Sleeve with Smart Display – provides protection and displays notifications on the screen to show the number of missed calls, text messages, emails and voicemails. Customers can also customize the clock styles that are displayed when the Spectrum 2 by LG is inserted in the sleeve. The Premium sleeve will be available in stores and online at www.verizonwireless.com for $24.99. The Spectrum 2 by LG will be available online at www.verizonwireless.com starting Oct. 30 for $99.99 after a $50 mail-in rebate with a new two-year customer agreement. Customers receive the rebate in the form of a debit card; upon receipt, customers may use the card as cash anywhere debit cards are accepted.